Here are the top-rated Passive Income for Life reader reviews on Amazon.com. Customers on Amazon select those reviews that they find most helpful to their buying decision. 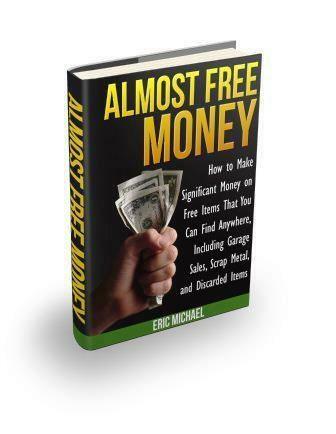 “This is not the first of Eric Michael’s books that I’ve read. His writing style is clear and precise and he does have a recipe for making money that seems to have worked for him. When his average cash investment per item is $.08, yes that is eight cents, and the average sale price is $8.50, how can a person not sit up and take notice? I thought Passive Income for Life was a professional and well written book. As a writer, I was looking for some other ways to bring in a little cash, so this was perfect! It’s very easy to follow and seems like a great way to make a little extra money if you are willing to put in the time to hunt through garage sales and other second time around type shops for your inventory. I was hoping this book was going to tell me how to make $50,000 instantly, but I hindsight, I’m very happy it didn’t. Because although its not impossible to make that kind of money quickly, one would either need to be insanely lucky or do something illegal. 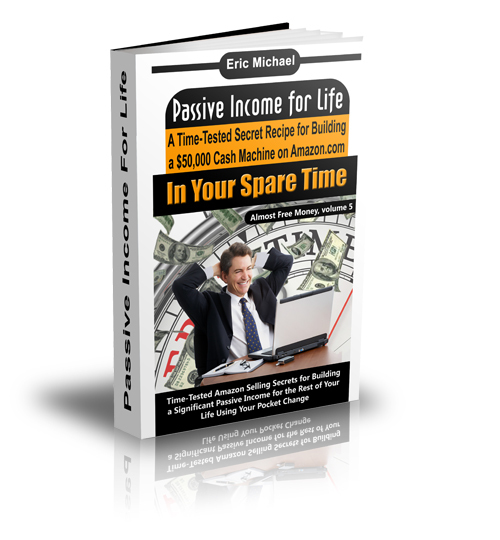 Instead, I was pleasantly surprised with Mr. Michael’s Passive Income for Life. Like most things in life, making money takes work. It’s not something that’s handed out on street corners or to those who feel they are entitled. It takes work and it won’t happen overnight. That theme is stressed in this book and a theme I will instill with my kids. Although it will take time, fortunately–with a detailed how-to from Mr. Michael, readers of this book can probably achieve the same success as the author. If they really want it, and if they want to put in the time and effort. The guidance is real and straight forward. The voice is authentic and compassionate. And the feeling is energetic and positive. If you’re looking for supplemental income, a work from home job or starting your own business, I would highly recommend this book. Online success is achievable, with patience, dedication and drive. I am myself a published Kindle author and enjoy giving credit to authors who produce well written, useful books. I recently published Facebook Timeline: Create Stylish Facebook Pages & Apps (Facebook Master Series), Facebook Advertising: Profit With Facebook’s New Promotional Tools (Facebook Master Series) and Facebook Privacy: Privacy, Security and Page Settings (Facebook Master Series). I think it was Robert Kiyosake who, in his well known “Rich Dad, Poor Dad” bestseller, taught me the concept of “building assets” as the way towards building wealth. Well, if you are not in a position to buy expensive property or other business assets, then buy this book to discover a more achievable alternative. Become an Amazon Seller! Eric Michael has written an excellent book on how to acquire and sell pre-owned assets, using the marketing benefits provided by Amazon. His book is a track record of his own experience and success in establishing a business that provides him a regular, passive income. Of all the “work from home” recommendations I have come across, this one is a gem. 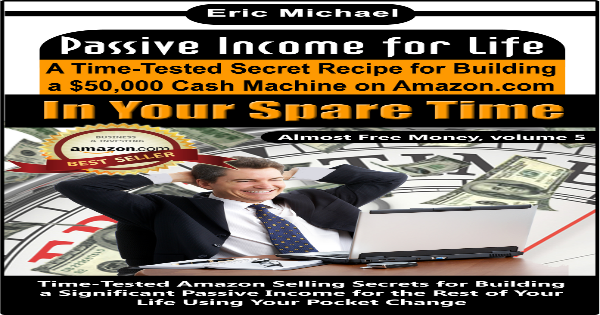 Selling is an art that you have to acquire and Eric gives you clear step-by-step instructions on how you can successfully search and acquire assets at cheap prices and sell them for a profit on Amazon. Buy low and sell high is, after all, one of the fundamental principles of salemanship. This book is well organized and well written. It teaches you the basics of selling on Amazon, how to research and find inventory, effective pricing and inventory management, clear examples on what type of products are best suited as well as clear instructions on how to list these products as an Amazon seller. But the author does not stop here. The book points to resources that will help you build a foundation of knowledge, where and how to network with other sellers, and clear instructions on pricing, listings and customer service. This book is not one of those get-rich-quick schemes. If you have the drive and incentive to build a business that will provide you with a sustainable, passive income then I thoroughly recommend this book. Eric provides detailed instructions on how to get started selling on Amazon with limited resources in a short amount of time. One of the many great points in the book is that the guide is not a get-rich-kick gimmick, as with everything it takes hard work and dedication. The book cuts through the fluff often encountered in these types of books. I borrowed this book from a house guest. She is only 21 and has her own business selling bikinis that she buys online from Brazil, and sells in resorts in Israel and Panama. Now she is going to expand to Amazon. Unfortunately, she keeps the details of where she buys private, and I don’t blame her. The book gives a lot of information about how to begin, with very little investment. The author explains how to find items that will resell, how to write up a good product description and other helpful things that a beginner needs to know. He covers Amazon selling basics, tips on choosing what to sell, lessons he learned in a year of selling, pricing, inventory and customer relations. I doubt that this can start out as passive income at first, but do believe that people who are dedicated can succeed once they’ve diligently done some practice. Who wouldn’t want to earn passive income?, but who earn such income, don’t want to disclose the exact method. Here Author described -How he built an inventory on the largest retail site in the world that is worth well over $ 50,000 with only the help of his wife and his two children and spending less than $ 20 a week while he was working a full time job. When we are working to earn a passive income- always think, who will give that money, its reputation, timely payment etc. Here he describe “How to earn money through Amazon”, So we won’t have to think about money, amazon can do everything for us. In this book author described different methods which consists “step-by steps” -If we follow the instruction, will earn passive income with little bit efforts.I would recommended this book to anyone who want to build a solid online income in his/her spare time through amazon. A lot of these types of books are very intimidating or very lengthy and hard-to-follow. This one was refreshingly easy to understand and had tips that are simple to implement, no matter what your experience level. 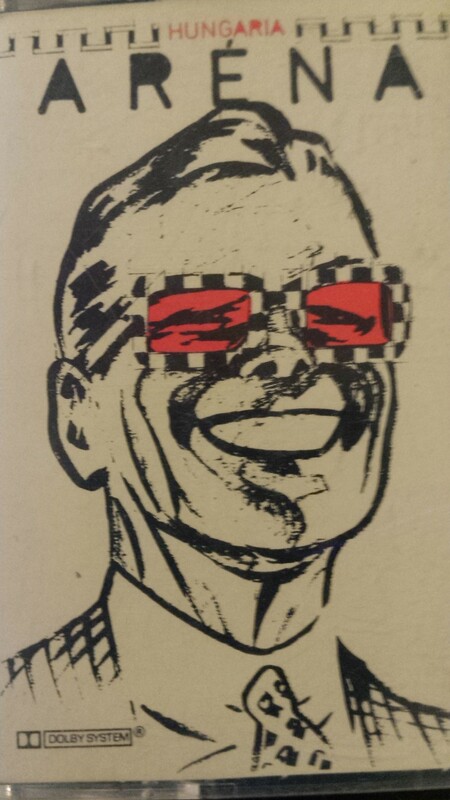 I have been an eBay seller for many years and have sold many items at numerous yard sales and flea markets. I was happy to see some tips that I was not previously aware of in this book and intend on using them to help boost my profits even higher. Kudos to Eric for simplifying the process and giving an honest, candid and non-intimidating introduction to selling items on Amazon! I recommend this to anyone looking to make some extra profit without having to put in too much effort. This is a confidently written amazing book. If you ever had any doubt about your ability to make profit with just a little hard work then this is the book to quash those doubts. The chapters are well-organised and clearly divided to allow easy reference and understanding. This step-by-step guide will lead the most naïve person through the stages and challenges of building a selling empire through Amazon, along with other similar sites. The writer gives advice on topics such as choosing what to sell and how to list your items to make them sell in easy to understand steps. A wise investment for the budding entrepreneur! 5.0 out of 5 stars I BUILT A $3800+ INVENTORY IN TWO WEEKS!